Hours May 17 through August 19: daily - 1 pm to 5 pm. August 23 through September 23: weekends - 1 pm to 5 pm. Grounds open daily year round, sunrise to sunset. 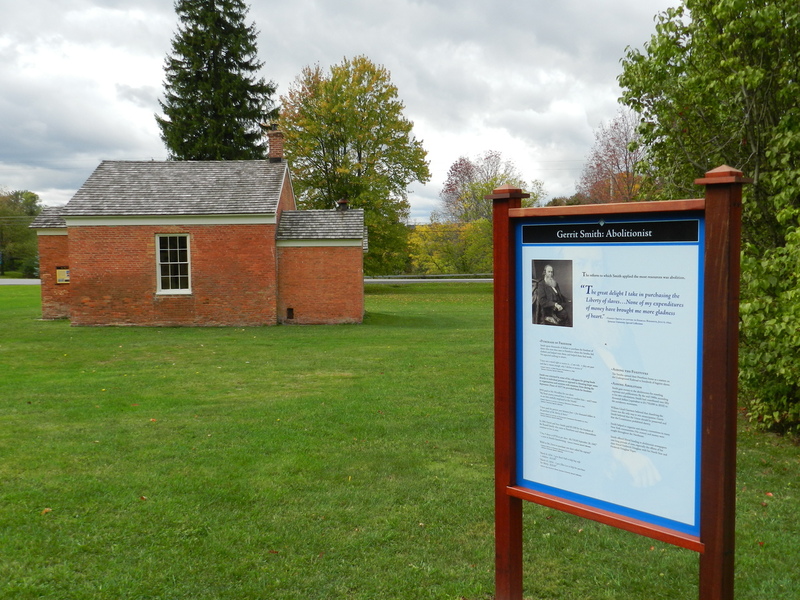 The site is of national significance for the Underground Railroad, antislavery, suffrage and reform activities of Gerrit Smith, including his support of John Brown. 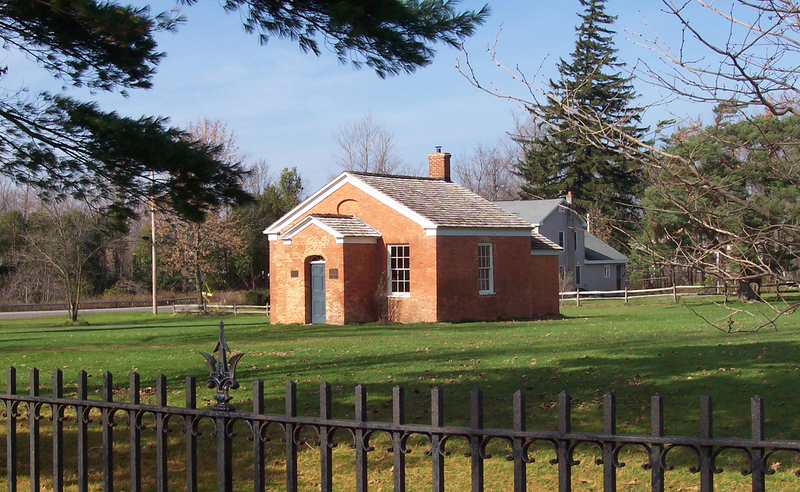 It tells the stories of the 19th C. reformers who came to Peterboro to meet with Smith and of African-Americans who came for freedom. 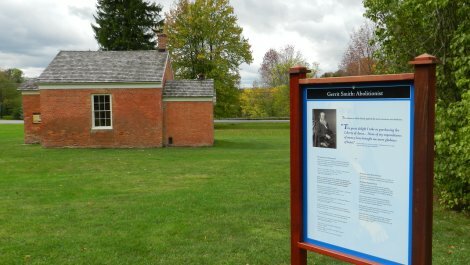 The 1804 Gerrit Smith Land Office has displays on the Smith family and estate and abolition activities. 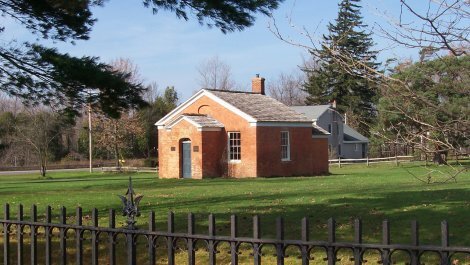 Smith believed that his wealth was a gift to be shared with oppressed individuals. Sites Dates Hours: May 17 through August 19: daily - 1 pm to 5 pm. August 23 through September 23: weekends - 1 pm to 5 pm. Grounds open daily year round, sunrise to sunset.